NOTE: This blog was meant for the beginning of October but was put on hold because of my writings for the Vancouver International Film Festival. And just right after the VIFF concluded, my RAM dies on me. Now that things are back to normal, I can post this. Another three months have passes. Two months of summer heat featuring a September that usually slumps but they still want to give people reasons to go. Meanwhile people eyeballing the box office stats are hoping 2012 will be a record-setting year. Already I talked about 2011’s grief as well as the upswings of January and February, March and April, and May and June. Even if the months didn’t set records it still added to 2012’s consistency. The big question is how did July to September stack up? July had the big struggle of trying to cope with the shootings that happened in the midnight screening of The Dark Knight Rises in Aurora, Colorado. Despite the tragedy, it did not deter moviegoers. The month started off strong with Ted being the sleeper hit of the summer and one of the biggest hits of the month. Strong showings by Brave and Magic Mike and a strong Top 10 ending by The Avengers also started the month off well. The following week saw a healthy opening for The Amazing Spider-Man followed by a good opening with Ice Age: Continental Drift. The tragic shooting in Aurora didn’t prevent The Dark Knight Rises from achieving the third-highest grossing opening weekend ever. The monster success continued into the following weekend. Overall this year’s July ended up being only the sixth-highest grossing July ever and almost $200 million less than last July. It’s unknown whether the shooting in Aurora had much to do with the drop but I’m sure most people knew this was a one-in-a-billion incident. August showed some slight improvement. Action or adventure movies ruled the month as it began with The Dark Knight Rises continuing with its reign on top and the remake of Total Recall debuting at #2 in the first weekend of August. The following weekend saw The Bourne Legacy on top with some comic relief at #2 in the form of political goofballs in The Campaign. The following weekend had The Expendables 2 open on top but not without family movies like ParaNorman and The Odd Life Of Timothy Green opening strongly that weekend. The following week was weak in debuts as Premium Rush was the strongest debuter that weekend and it was only #8. The Expendables continued to be on top. Overall 2012 grossed more than $40 million more than August 2011. It stands as the second-highest grossing August ever with only 2009 being the highest. In September, there’s always the mark of the slowdown of the movie season with the summer wrapping up and the remaining weekends having lukewarm results. The Possession opened the month on top that Labor Day weekend and continued to be on top the following week. The third weekend in September featured more excitement with strong debuts from Resident Evil: Retribution on top and the 3D re-release of Finding Nemo opening strongly in second. The fourth weekend saw three debuting movies on top–End Of Watch, House At The End Of The Street and Trouble With The Curve–but their opening weekend grosses were between $12.2 million and $13.1 million. It was the fifth and final weekend of September that added more excitement with the animated Hotel Transylvania opening with $42.5 million–the biggest opening weekend ever for a September release–and Looper in second with an opening of $20.8 million. September ended with a total of $532.4 million, almost $75 million less than last year’s September. So with nine of the twelve months of 2011 completed, it appears that 2012 is poised to be a record-braking year: $240 million more than last year and $363 million ahead of 2009’s record-setting pace. However don’t get excited too soon. We should not forget that these last three months were what helped propel 2009 to the record and the milestone of being the first $10 billion movie year. That quarter’s total gross of over $3.5 billion is still the highest total gross for that quarter. 2010 failed to overtake it and just missed the record. And 2011 was on record-breaking pace by $120 million but a weak fourth quarter even with a Twilight movie failed to break the record. A fourth quarter of over $3.15 billion will finally do it. So let’s hang tight. Also you notice I left October out. As I said at the beginning, this article was meant to be published weeks ago so that’s why it’s not there. Plus with Box Office Mojo not complete in totaling up October, I think waiting is a good thing. The first half of 2012 has passed already. A lot of movies have been released. A lot of hits and a lot of flops have been decided. But the success of the first six months of the movie year has also been decided. There was a lot of yo-yoing but its success has been determined and has allowed for studios to set goals to make 2012 a record-breaking year for them and for the movie year as a whole. As some of you may know, the box office of 2012 is an interest of mine ever since the box office slump of 2011. 2009 still remains the highest-grossing box office year ever. Since I’ve been writing and paying attention, January and February showed big signs of improvement while March and April had a bit of a yo-yo. May is usually seen as a month of excitement as it’s the month when the summer movie season opens. This May opened full of excitement as The Avengers broke box office opening records left, right and center and continues to draw audiences to this day. It reigned supreme over the first three weekends of May only to be dethroned in the last weekend by Men In Black 3. Even strong debuts from movies that didn’t open at #1 like Dark Shadows, Battleship and The Dictator as well as continued success of The Hunger Games helped May 2012 in ending with a strong total of $1.141 billion. It wasn’t has high as last May but didn’t go under by that much: only $52 million. This year’s May is actually the sixth-highest grossing May ever. 2003 is the highest grossing ever with $1.4 billion. June opened well in its first weekend with Snow White And The Huntsman debuting on top along with continued strong showings with MIB 3 and The Avengers. The following weekend was also strong with the debuts of Madagascar 3 and Prometheus both grossing over $50 million that weekend. Its successes in the Top 2 continued the following weekend with the debuts of Rock Of Ages and That’s My Boy lacking muscle. The following weekend saw Disney/Pixar’s latest picture Brave opening strong with $66 million. Nevertheless it was the final weekend of June leading into July 1st that saw strong debuts for Ted and Magic Mike. They don’t call the summer movie season a tight competition for nothing. June 2012 ended with a total gross of $1.169 billion: $27 million more than June 2011 and the third highest-grossing June ever. Only two other Junes have had higher total grosses: 2004 with $1.376 billion and 2010 with $1.41 billion. Now that the months have all been looked at, it’s now time to look at the first half as a whole. And upon looking at the first half of the year, it appears that 2012 is on a record-setting pace. The first six months of 2012 have grossed a total of $5.184 billion. This makes it the first time the first six months have grossed a total more than $5 billon. Its total is $320 million more than the first six months of last year and $255 million more than the first six months of 2009, the year that holds the total-gross record. So for those who are also keeping track of this year’s box office stats, remember that 2012 has $5.41 billion dollars to go in order to break 2009’s record. July opened well with continued success of Ted and an impressive debut for The Amazing Spider-Man. A strong chart-topping debut of Ice Age: Continental Drift also continued the success the following weekend. However it was this weekend that has been hit hard. The Dark Knight Rises was expected to open phenomenally this weekend. 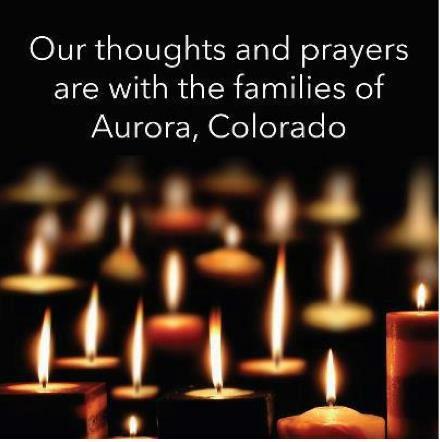 Instead it opened with tragedy in Aurora, Colorado on Thursday as a crazed gunman named James Holmes opened fire in a theatre killing 12 people and injuring more than 50 of others. This incident has sent shockwaves in the US, around the world and in the entertainment industry. Warner Brothers was saddened by the shootings and cancelled premieres in Paris, Mexico and Japan, suspended marketing in Finland and won’t release box-office figures until Monday the 23rd. Director Christopher Nolan spoke on behalf of the film’s cast and crew and called the incident ‘devastating’. Many moviegoers remained undeterred by the incident and continued to show up. I myself plan on seeing this knowing that the shooting is a one-in-a trillion incident. The last time I ever heard of a shooting in a theatre was when Boyz ‘N Tha Hood opened back in 1991. The second half of 2012 opened on an exciting note however currently stands on a tragic and nervous note. Will there be any changes in terms of cinema admittance in the future? 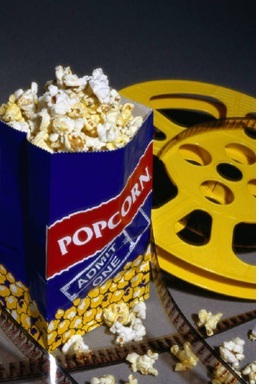 Will the showings of movie trailers be changed or altered? Will this year’s box office be affected in the long run? Only time will tell.